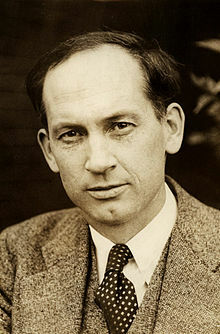 Harold Adams Innis (5 November 1894 – 8 November 1952) was a Canadian professor of political economy at the University of Toronto and the author of seminal works on media, communication theory and Canadian economic history. Application of power to communication industries hastened the consolidation of vernaculars, the rise of nationalism, revolution, and new outbreaks of savagery in the twentieth century. The Beaver (1930) Part I of The Fur Trade in Canada, (1970 edition), p. 3. Conclusion (1930) of The Fur Trade in Canada, (1970 edition), p. 392. Canada came under the sweep of the Industrial Revolution at one stroke whereas the western movement of the United States was a gradual development. There are no transcontinental railroads controlled by one organization in the United States. In Canada transcontinental roads are distinct entities controlled in eastern Canada. Similarly in financial institutions the branch bank system with its headquarters in the east has been typical of Canada but not of the United States. No such tendency toward unity of structure in institutions and toward centralized control as found in Canada can be observed in the United States. The Canadian government has a closer relation to economic activities than most governments. The trade in staples, which characterizes an economically weak country, to the highly industrialized areas of Europe and latterly the United States, and especially the fur trade, has been responsible for various peculiar tendencies in Canadian development. The maintenance of connections with Europe, at first with France and later with Great Britain has been a result. The diversity of institutions which has attended this relationship has made for greater elasticity in organization and far greater tolerance among her peoples. It is suggested that all written works, including this one, have dangerous implications to the vitality of an oral tradition and to the health of a civilization, particularly if they thwart the interest of a people in culture, and following Aristotle, the cathartic effects of culture. "It is written but I say unto you" is a powerful directive to Western civilization. From the 2007 Voyageur Classics edition, pp. 19-20. The concepts of time and space reflect the significance of media to civilization. Media that emphasize time are those that are durable in character, such as parchment, clay, and stone. The heavy materials are suited to the development of architecture and sculpture. Media that emphasize space are apt to be less durable and light in character, such as papyrus and paper. The latter are suited to wide areas in administration and trade. The conquest of Egypt by Rome gave access to supplies of papyrus which became the basis of a large administration empire. Innis comments on how the invention of writing and the advancement of military techniques led to the founding of ancient empires: The sword and the pen worked together. Power was increased by concentration in a few hands, specialization of function was enforced, and scribes with leisure to keep and study records contributed to the advancement of knowledge and thought. The written record signed, sealed, and swiftly transmitted was essential to military power and the extension of government. Small communities were written into large states and states were consolidated into empire. The monarchies of Egypt and Persia, the Roman empire and the city states were essentially products of writing. The discovery of printing in the middle of the fifteenth century implied the beginning of a return to a type of civilization dominated by the eye rather than the ear. Minerva's Owl (1947), an address to the Royal Society of Canada, published in The Bias of Communication (1951) p. 10. A Plea for Time (1950), a paper presented at the University of New Brunswick, published in The Bias of Communication (1951) p. 64. Industrialism and Cultural Values (1950), a paper presented at meetings of the American Economic Association in Chicago, published in The Bias of Communication (1951) p. 138. Industrialism and Cultural Values p. 138. Industrialism and Cultural Values p. 139. Industrialism and Cultural Values p. 140. Changing Concepts of Time (1952) p. 15. Modern civilization, characterized by an enormous increase in the output of mechanized knowledge with the newspaper, the book, the radio and the cinema, has produced a state of numbness, pleasure and self-complacency perhaps only equalled by laughing-gas. In the words of Oscar Wilde we have sold our birthright for a mess of facts. The demands of the machine are insatiable. The danger of shaking men out of the soporific results of mechanized knowledge is similar to that of attempting to arouse a drunken man or one who has taken an overdose of sleeping tablets. The necessary violent measures will be disliked. We have had university professors threatened with the loss of their positions for less than this. p. 383 (originally from an essay entitled The Church in Canada first published in 1947). In his office or his study, with his long legs stretched out and his chair tilted back, he would exchange stories with unhurried delight; and the deep stream of his conversation rambled amiably through generous meanderings and over laughing shallows. Donald Creighton in Harold Adams Innis: Portrait of a Scholar, (1957) p. 131. Anybody who has looked up the reference material that Innis cites so frequently will be struck by the skill with which he has extracted exciting facts from dull expositions. He explored his source materials with a "Geiger counter," as it were. In turn, he presents his finds in a pattern of insights that are not packaged for the consumer palate. He expects the reader to make discovery after discovery that he himself had missed. Marshall McLuhan, in his introduction to the 1964 edition of The Bias of Communication (1951). This quotation appears on pp. 5-6 of the 2005 Gingko Press republication of McLuhan's introduction. I am pleased to think of my own book The Gutenberg Galaxy as a footnote to the observations of Innis on the subject of the psychic and social consequences, first of writing then of printing. Marshall McLuhan, in his Introduction to the 1964 edition of The Bias of Communication (1951). Gingko republication (2005), p. 8. Innis's work, despite its maddeningly obscure, opaque and elliptical character, is the great achievement in communications on this continent. In The Bias of Communication, Empire and Communications, Changing Concepts of Time and in the essays on books on the staples that dominated the Canadian economy, Innis demonstrated a natural depth, excess, and complexity, a sense of paradox and reversal that provides permanent riddles rather than easy formulas. His texts continue to yield because they combine, along with studied obscurity, a gift for pungent aphorism, unexpected juxtaposition, and sudden illumination. Opening his books is like reengaging an extended conversation: they are not merely things to read but things to think with. James W. Carey, (1992) Communication as Culture: Essays on Media and Society p. 142. To this day, in my opinion, the last chapter of Innis's The Fur Trade in Canada still represents the most concentrated and profound single piece of writing for anyone seeking to understand the nature of Canada. Alexander John Watson, from the General Introduction to the 2007 edition of Innis's Empire and Communications (1950) p. 13. It is easy to criticize Innis's negativism and his encouragement of an apolitical stance for the intellectual in society. But to see only the negative side of his outlook --- his economic determinism, relativism, and apoliticism --- is to miss a positive central thread that runs through his work, from the investigation of the fur staple to his defence of scholarship, and later, his explorations in the biases of communications: to understand limits is to enhance the freedom of the nation and the individual. Carl Berger (1976) in The Writing of Canadian History, p. 111. Innis made the study of technology and civilization (Canada as a big "staples commodity") an opportunity for the development of a distinctive Canadian way of thinking. In the Innisian world of technological realism, there emerges an epistemological toolkit for the exploration of dependency and emancipation as the two faces of technological society. Innis's thought is perfectly styled to the historical specificity of Canada's political economy and culture because it is a constant reflection on the great tension between centre/periphery in Canada's historical formation. Arthur Kroker (1984) in Technology and the Canadian Mind, p. 18. This page was last edited on 16 April 2019, at 14:44.